← Monday Question – WHY Do You Love Perfume So Much? 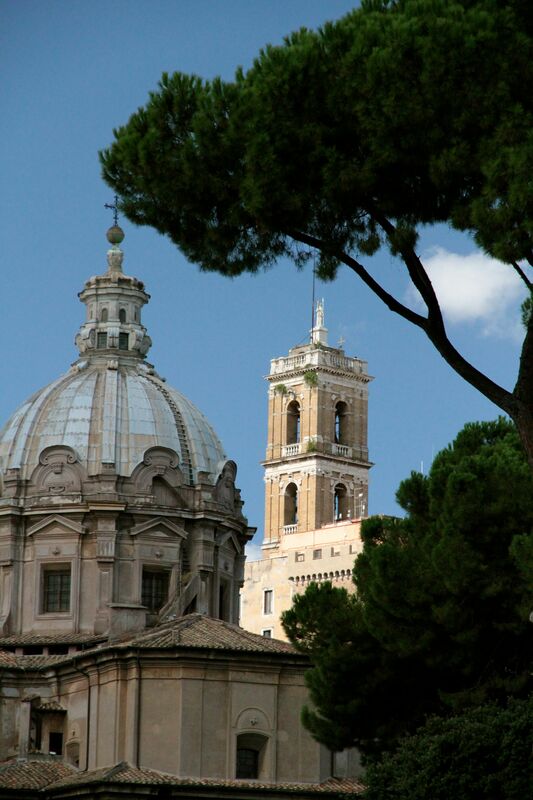 Rome is one of the cities on earth where I feel completely relaxed and at home. We decided to take the one week of vacation that the Norwegian had, and fly to Rome for the full week. The week was the start of Ferragosto which many will know is basically the start of vacation in Italy. Knowing this in advance and understanding that it may be challenging to do any perfume sniffing (which is not that important in the grand scheme of things) we went with the assumption that we would be relaxing and kicking back our feet Roman style. So, we packed our bags and left the house at 0415 to catch a 0600 flight. There was a slight hiccup at the Fuimicino Airport on arrival. Blame the early hour but we followed the signs to baggage claim and ended up two terminals away from where we were supposed to be. Apparently this was of no concern to the security at the correct terminal (must happen often as there were several people lined up waiting to go back into the terminal) and they allowed the Norwegian entry in order to fetch our bags. Finally, we got to our driver and were on the way to our favourite hotel in Rome. The sun was up and it was already at 90% humidity which coming from Vienna this summer left us drenched. Rome delivered everything it promised and then some. We settled down quite quickly to relaxation mode and we strolled the streets of the inner city. Since pretty much everything was closed, including most perfumeries, we mapped out our days to get the maximum in sightseeing. No, it was not challenging with the 5 year old in tow – he was a trooper. 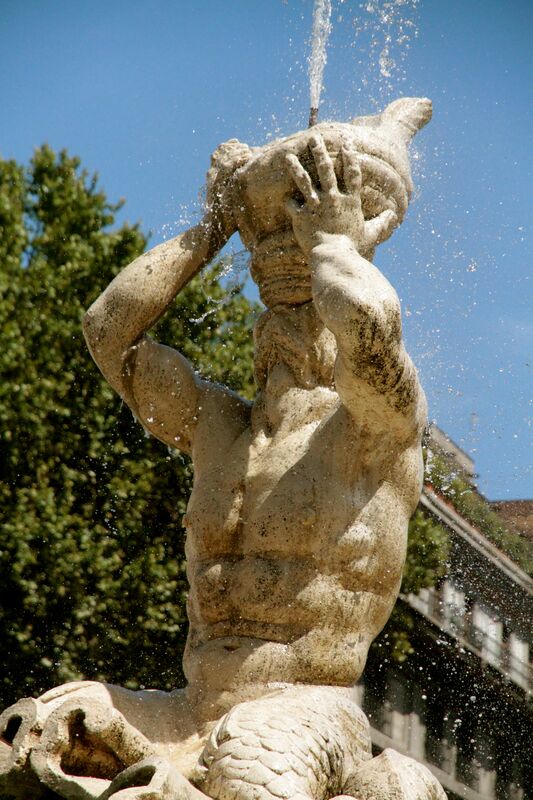 I was on a Bernini kick – hunting down statues and fountains by Bernini all over Rome. Timing is crucial in Rome as we soon found out. We hiked to one church to see a famous statue and got to the front door of the church to find out it closed 15 minutes earlier for a two hour lunch break. Ok. We moved on. You would think that I would learn to look things up but I thought ok we go to the next church on the list another day and just get there by 2pm. Believe it or not but that church was closed from 2-4:30pm. Argh! 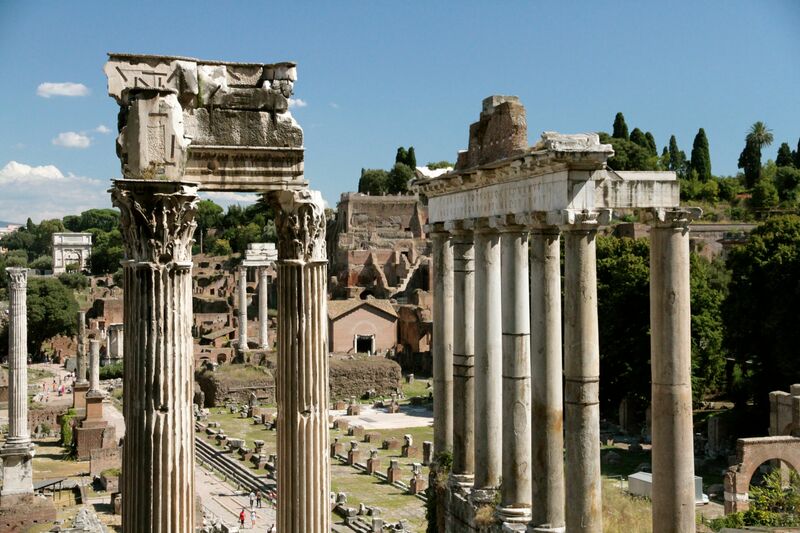 My favorites this time were the Coloseum, Palatine Hill, Roman Forum, Capitoline Museums and the Basilica of Santa Maria sopra Minerva. The Norwegian loved every single day and I have not seen him so relaxed in years. This was the first vacation for him in over a decade without a laptop! The last full day of our vacation was also my birthday and it was the first day when many stores would reopen after the Ferragosto vacation. I wanted to visit a few more Piazzas and churches and had no intention of doing any shopping. 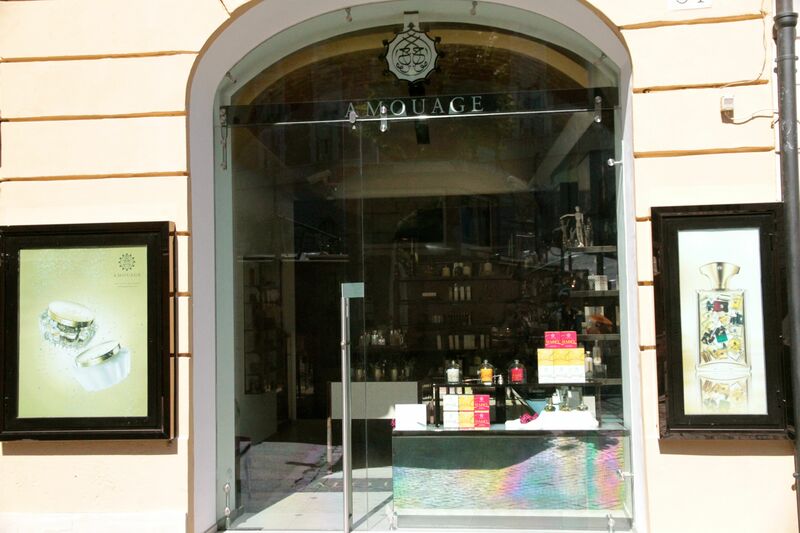 On our morning walk to the Spanish Steps and to the Piazza del Popolo we saw that Amouage had a stand-alone store! In Rome! Walking into the Amouage store after all of our sightseeing had me hooked as soon as I smelled the inside of the store. I swooned at the beauty around me. I wanted Fate Woman and as the SA found out that I know many of the Amouage perfumes for women, she suggested that she walk us (husband key person here) through the men’s line. Most importantly for me all of the extraits were in one area for me to explore. The Norwegian fell in love with Lyric Man and I fell hard for Lyric Extrait. Thankfully the SA informed us that they will deliver anywhere within Europe. Christmas shopping here we come! It was a truly beautiful shop with a knowledgeable, patient and friendly SA. Rome was magical. The pictures I took will always take me to the relaxed summer days of 2014. Where have you all taken your vacation this year? 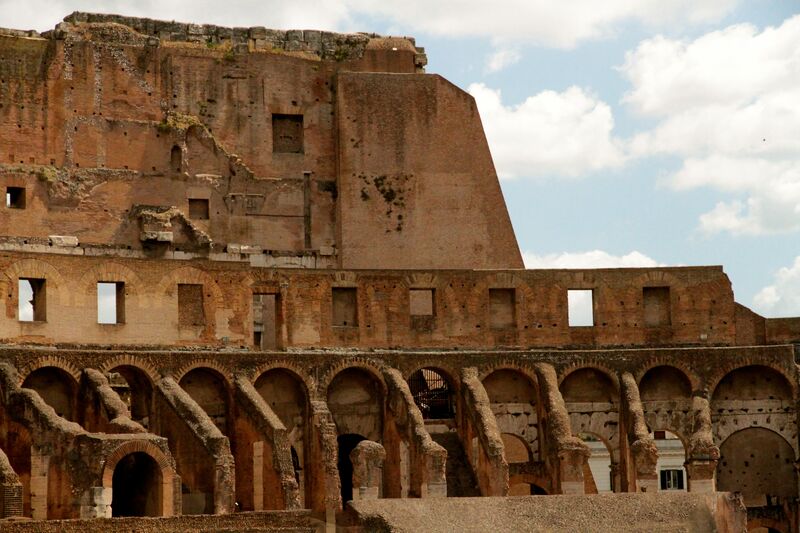 This entry was posted in By Sandra, Travels and tagged Fragrance, Italy, Perfume, Rome, Travel. Bookmark the permalink. And I loved my holiday there last year with Suzanne, Mark and Asali. Amazing time! This summer I had one of the best holiday ever, some of it spent in Copenhagen with Asali, some on the island of Vis and some at the usual summer spot for me – Smokvica. Hi Ines. Your summer sounds wonderful. Copenhagen looks beautiful as does Vis. So glad you got time off to enjoy. I loved reading about your Roman Holiday, Sandra. Such an amazing city. How great that your husband finally had a holiday without the lap-top and your son took it all in his stride. Great for you to check out the Amouage extraits too! No vacation for me this year sadly, but it’s been fun reading about other people’s. Oh no Tara! No vacation sounds terrible. Maybe you can take vacation at the of the year or an entire month off next summer. I admire your positive outlook. 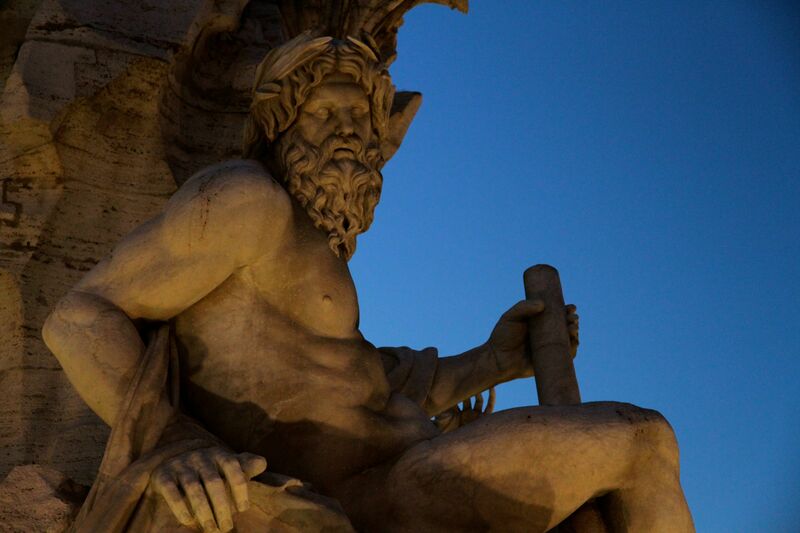 Rome is a majestic place – several friends holidayed there this summer. I stayed put because I was unemployed most of July and August, so like Tara am enjoying reading about other people’s travels! Oh I really hope you get to go on vacation soon. Thank you for reading Vanessa. What a terrific trip! I was in Rome eighteen months ago, for the first time in decades, and it was so wonderful. Rome can be so hot in the summer, but the light is very special. And of course the heat creates optimum gelato conditions! Congratulations on a wonderfully balanced trip – happy five-year-old, laptop-free Norwegian, and an unexpected perfume delight at the end! You are right about the light Empliau! I was awed of how everything looked in the heat and sunlight. I love the heat and we were finally in summer heaven. It’s great that you went and enjoyed it. Rome is perfect in every aspect. what great photos, were you ever a photographer? As you know I was in Austria with YOU for part of my holidays this year. Super good times. I loved reading your travelogue, it took me straight back to Rome. The architecture and history were the highlights for me also. Hurray for holidays!